Whether in your backyard, local park or down by the water, an afternoon Picnic can be a fun and affordable activity to do with your kids this summer. Pack up their favorite sandwich, toys to play with, and lots and lots of sunscreen and you’re good to go! Although a picnic can sometimes feel daunting – since you basically need to pack up alittle bit of everything – it can really be enjoyable if done right. 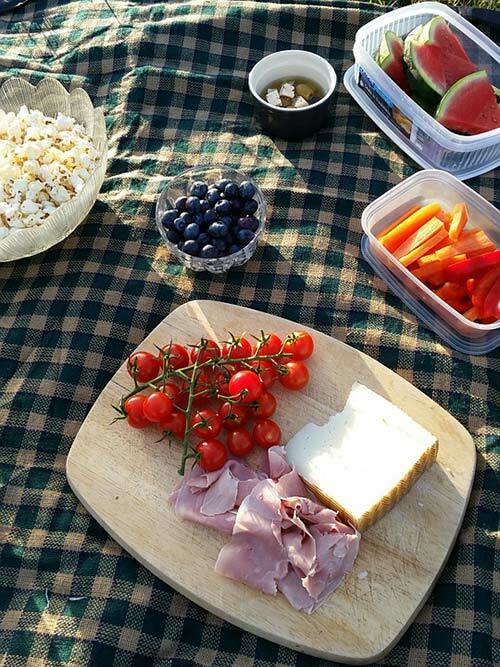 Follow along for some help picnic packing tips! Packing a simple lunch, with healthy snacks and beverages which you know your kids will love, will make the mini-excursion a whole lot easier. Whether it’s their favorite sandwich, or cheese and crackers, packing something that they’ll enjoy and is easy to clean up will make everything more fun. Depending on the time of day, children’s playgrounds can get crowded – not to mention extremely hot. Bringing along some simple activities for you and your kids to enjoy can help you out here! Whether a book you can read in the shade for some down time, a soccer ball or even a simple board game, having other activities to keep them entertained can be extremely helpful. Having someone to play with, or a new face to entertain can keep your kids interested for longer periods of time. As you don’t want to make this mini-excursion short-lived, consider having your kids invite a friend; and while they’ll at it invite the parents! This way you’ll both enjoy the afternoon. Kids are only young for so long. Make sure to enjoy your time with them by asking then for input too; what do they want to eat, what do they want to do, and who do they want there? Making them feel a part of the planning can help them enjoy everything more. Previous Post How Do Oil Prices Affect Your Mortgage?